In 2007, Grace Sebold is arrested for killing boyfriend Julian Crist when she and her family attend the wedding of friends on the island of St. Lucia. There’s a swift arrest and an even swifter trial. Through it all, Grace maintains her innocence. In 2017, Sydney Ryan is a rising documentary filmmaker whose investigations have freed several people accused of crimes. Grace has been writing to Sydney for years, asking for her help. The last letter she received convinces her to make Julian Crist’s murder her next assignment. Traveling to St. Lucia, Sydney’s first stop is with the head of the investigation division of the St. Lucian police force. From him, she learns the police never had another suspect in Julian’s death. They focused on Grace and no one else. The reason? To keep the crime’s notoriety from deflecting tourists from the island. Nevertheless, Inspector Pierre agrees to help. The inspector has made an understatement. Soon Sydney discovers a convoluted relationship between Grace and the newlyweds, (Why has Daniel kept in touch with Grace though his wife, for whom she was maid of honor?). She learns more about Grace’s brother, suffering from a degenerative disease. (Why can he overcome his illness only while playing chess? Why does he demand a near-monopoly on Grace’s company?) What does best friend Ellie know about all this? Why was blood found in Grace’s hotel room when Julian died on a hilltop overlooking the sea? A pathologist Sydney talks to reads the St. Lucian autopsy report and says the marks on Julian’s body were made by a right-handed person. Some people won’t talk to her. Others talk too much. Sydney is also fighting her bosses, who wonder if Grace’s documentary will gather enough viewer ratings. They don’t care whether Grace is innocent or not, just how many people watch the show. And there’s their star, Luke Barrington, who hosts their top-rated news show. Luke doesn’t like the fact this newbie filmmaker may steal his spot, and is doing his best to downgrade her project. The documentary airs on national television. Sydney gets a call from Gus Morelli, a retired policeman currently in a convalescent home recovering from cancer surgery. Gus has seen part of her documentary and it reminds him of another crime, committed years before. With the help of the retired cop, who’s given a reason to live by her documentary, Sydney will soon discover who really killed Julian Crist and why Grace has kept quiet about her knowledge of the crime. It will come at a cost neither she nor Gus expects. Interspersed with Sydney’s notes on the script for her documentary, this is a tense thriller as it step-by-step uncovers what she learns and the way she learns it. The cold-blooded concern of Sidney’s bosses over whether Grace’s story will garner enough ratings is contrasted to Sydney’s own moments of self-doubt that she might be making the film for her own glorification and not to bring justice to Grace. Gus comes late into the story, over halfway through, but once established, he becomes an important factor, and as strong a character as Sydney. In some ways, he’s more appealing, as a cantankerous ex-cop giving his nurses “fits” because of his own frustration with his illness. Motivated not only by the desire for justice but because he’ll once again be doing what he’s good at, that fact distracts him from the pain of his illness. Gus may be down but he definitely isn’t out. It is he, at last, who uncovers the truth. 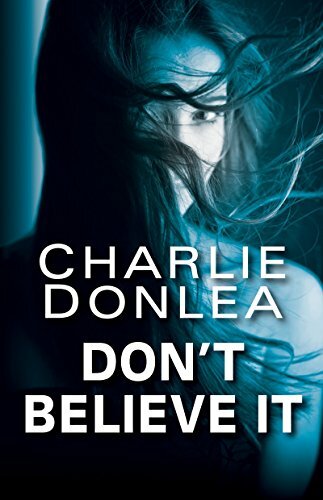 The twist of the ending is only one of many through this very entertaining thriller, for just when the reader believes the story is over, and the actual killer has been brought to justice, author Donlea bring about another surprise until there are layers of them. This novel is a page turner, and that accolade carries to the very last page and the very last line of the story.